Learning Spanish doesn’t have to be hard. 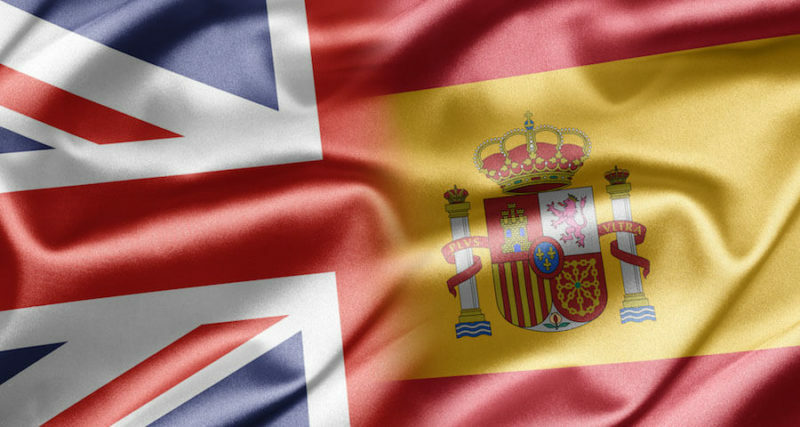 Check out these tips on the top differences between Spanish and English. Learning a new language can be an intimidating experience to some people. This need not be the case. There is no such thing as a person who is unable to learn a new language. The first step is to believe you can learn Spanish, because you really can. The second step is to relax and enjoy the process. As an English speaker, you will find that Spanish is actually one of the easier languages to learn. It shares a common alphabet with English, sentence structure is very similar, and the languages share a lot of common words. Where the two languages diverge the most is when it comes to grammar. With a little practice, these difference won’t seem so big. That said, before you jump into your first lesson, let’s cover a few of the major differences between English and Spanish. There are many differences between these two European languages, but these are the top 10 you should be aware of. All Spanish nouns are either masculine or feminine. Sometimes, the gender of a noun is directly related to the gender of the thing it’s referring to. More often, the gender is completely arbitrary, and it will require memorizing the words and their genders. There are many Spanish words that are gendered based on their endings. By paying attention to common endings, you can start to guess the gender-based just on the word’s ending. There are some words with other endings, but looking at the ending of the word is usually a good hint as to the gender of the word. Gender affects sentence construction, too. The article must match the gender of the noun: the English word “the” is either masculine or feminine. Other parts of speech, including relative pronouns and adjectives, must also match the gender of the noun. For most native English-speakers, gender is one of the most complicated new rules to grasp. Once you’ve got the gist of it, you’re well on your way to mastering Spanish grammar! Something you don’t notice when speaking English is that you use the adjectives first, giving the person the description of an object before they know what the object is. For example, you can talk about the large, red truck in English. In Spanish, the adjectives come after the object, so you would talk about the truck large red. That means that the person listening to you will have an image of the object, and will then impose the description over it. There are a few exceptions to this rule that you might encounter because some types of adjectives work differently. One example is a quantifier, which is an adjective that describes how many of something there are. You would say “the house white,” but “the only house.” At least for now, focus on learning to think of putting the adjective second. This will help you start to speak a little faster with fewer obvious mistakes. This is not a problem in Spanish because you can negate any verb by simply putting “no” before it. Also, Spanish uses double-negatives as the default. This is why “I don’t want nothing” is correct in Spanish but not in English. Just like adjectives, possessive nouns in Spanish come after the things they are possessing. In English, sentences usually follow a “noun-verb” word order, like “I sleep.” In Spanish, you can usually skip the subject entirely because it’s implied in the verb: “I sleep” can simply be “sleep.” This is because Spanish has a lot of verb conjugations that make it clear who is doing the action. In English, we talk about feelings using some form of a “being” verb, like “am.” In Spanish, the verb for “to have” is often used instead. For example, instead of saying “I am 20 years old,” a Spanish-speaker would say “I have 20 years.” This is similar for many other traits, such as hunger (“I have hunger”) or fear (“I have fear”). There’s a long list of words that use this construction. Keep an eye out for conjugations of the Spanish form of “to have” in your studies! English relies heavily on prepositions to provide details in discussions because we focus on describing where something is oriented in time and space. For example, “The cat is sitting on top of the chair, and the dog is sleeping under it.” While Spanish certainly has prepositions, there are fewer of them in Spanish than there are in English. This can cause some ambiguity for English speakers who are accustomed to more precise descriptions of location. A single Spanish preposition can be used for several different prepositions that we use in English, and it may take a while to learn when you can use a particular preposition. Learning exactly what is meant by these prepositions can be challenging for English speakers, but having fewer words to choose from can also make it much easier to remember all of them. “It” is one of those words in English that we use all the time without realizing it. See? We just said “it” right there. Spanish doesn’t rely on “it” in the same way because of the way verbs are conjugated. Since the subject of a verb can be inferred through the way it’s conjugated, there’s no need for extra words to link those thoughts. One of the most noticeable differences in punctuation between English and Spanish is that Spanish places punctuation at both the beginning and the end of a sentence when that sentence expresses a question or excitement. This is signified with an upside-down exclamation point or question mark. Unlike English, which is filled with homonyms and irregular spelling rules, Spanish spelling is very intuitive and usually phonetic. Once you know the sounds that each letter makes, you’ll always be able to spell the word just by sounding it out. There are only five vowels in Spanish, and they always make the same sounds. Even though vowels may have accents added for emphasis, even those are easy to master if you know how the word is pronounced. Do be aware that the sounds you are familiar with for each letter could be different.